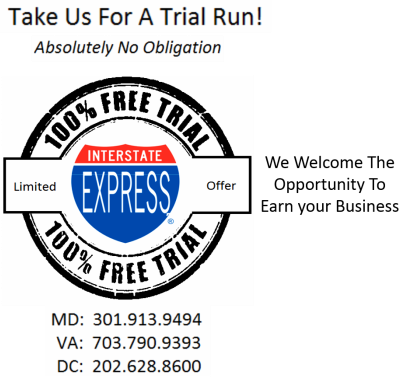 Interstate Express provides our clients with 'on-demand' same day courier service you can be proud to consider an extension of your own business. We have the resources, expertise and array of service levels necessary to deliver the most efficient and cost effective solution for your particular circumstance. We can fulfill a rush delivery as easily as designing and implementing an economical strategy for ongoing routed service. Our professional transportation staff are highly dedicated and committed to making sure your deliveries arrive on time and undamaged. We're good at providing a creative approach to difficult delivery issues. We constantly update technology so delivery is never in doubt. Our 22 years of dependable service bring peace of mind to our clients. We provide competitive rates and easy billing. At Interstate Express, we truly enjoy what we do and it shows in our work everyday as a leading provider of innovative courier services. Interstate Express was built one client at a time based on the level of commitment we show our clients and our ability to adapt efficiently to their needs.